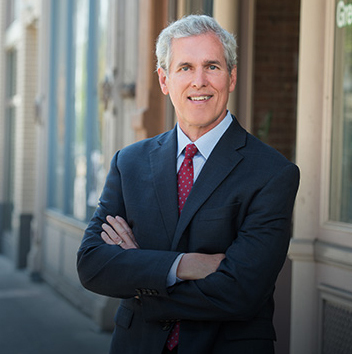 John is an attorney with Larkins Vacura Kayser in Portland and a member of the Oregon and Washington State Bars. In 2009, he was hand-chosen by the Oregon Attorney General to lead the Oregon Department of Justice’s Special Litigation Unit, which he headed for five years. Serving under two different Oregon Attorneys General, John Kroger and Ellen Rosenblum, John led a trial team that focused on highly specialized cases, including high-profile constitutional challenges, tort claims, election cases, complex regulatory cases and environmental litigation (including defeating an effort to enjoin the Klamath Basin Restoration Agreement). John also sits on, and has previously chaired, the board of St. Andrew Legal Clinic and has served on the board of Jesuit Volunteer Corps NW/Alaska Board of Directors.